The two-volume Broadview Anthology of British Literature, Concise Edition provides an attractive alternative to the full six-volume anthology. Though much more compact, the concise edition nevertheless provides instructors with substantial choice, offering both a strong selection of canonical authors and a sampling of lesser-known works. 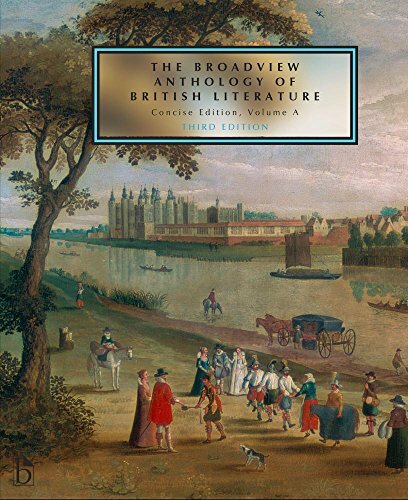 With an unparalleled number of illustrations and contextual materials, accessible and engaging introductions, and full explanatory annotations, the concise edition of this acclaimed Broadview anthology provides focused yet wide-ranging coverage for British literature survey courses. In the case of several authors and texts (among them The Four Branches of the Mabinogi, Julian of Norwich, Sir Thomas Malory, and Phillis Wheatley), the new edition will incorporate substantial improvements that have been made in the new editions of the period volumes published in recent years. As before, the Concise edition includes a substantial website component, providing instructors with a great degree of flexibility. For the first time, a selection of Chaucer’s Canterbury Tales will be available online in facing-column format (with versions in modern English included opposite the original text).